Equipo Wacosta: The window is gone and I don't know any alternitive solution for this cache so thank you for visiting and logging this beautiful eartcache. Game over. 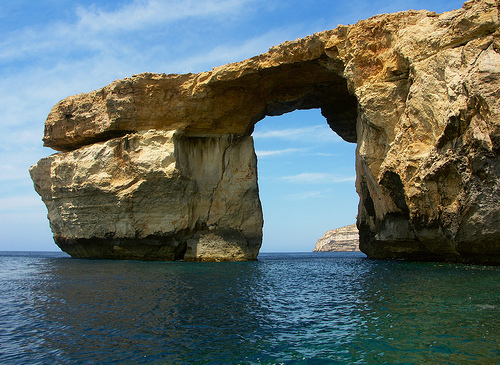 The Azure Window is a spectacular natural landmark in Dwejra, along with The Inland Sea and Fungus Rock. The Azure Window at the end of the cliff, is a giant doorway, through which one can admire the blue expanse beyond the cliff. 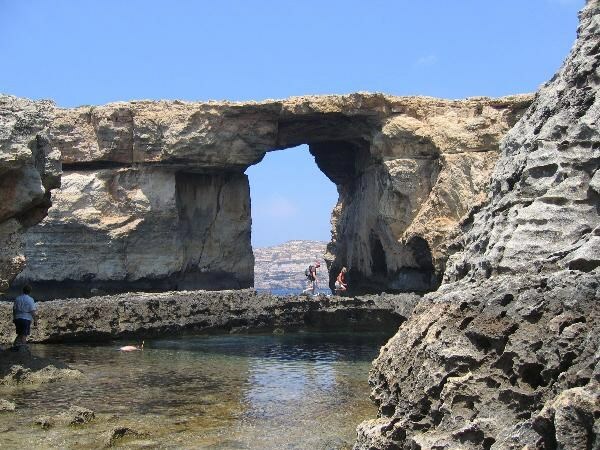 Erosion by the sea over thousands of years has formed this monumental arch along with numerous caves along the coast. It must be one of the most photographed vistas of the Islands, and is particularly spectacular during the winter, when waves crash high inside the arch. The sea around is very deep and of a dark blue hue, which explains why it is called the Azure Window. The rocks in this area are encrusted with fossilized crustaceans, evidence that most of the island was once covered by water. In front of the Azure Window is the Blue Hole, and The Chimney, two of the most popular dive sites in Gozo. The following actions must be completed to succesfully log this Earthcache. It would be nice to take a picture of yourselve with your gpsr and post it together with your log. 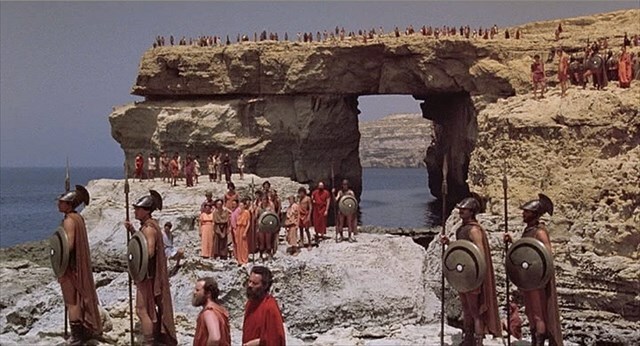 1)What is the difference between a natural bridge and a natural arch? What is your opinion about the "Blue Window"? . 2)The window is in "danger"! Why? Taking a picture of yourself in front of the window is optional but not required.